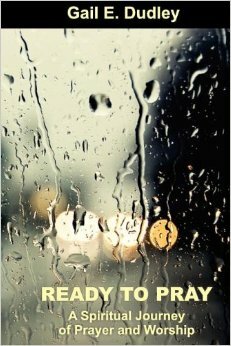 Gail Dudley’s Ready to Pray: A Spiritual Journey of Prayer and Worship shares the life and prayer lessons that she learned from the Lord through her spiritual journey with Him. Transparent, even funny, encouraging and biblically based, she shares and exhorts on how to develop and build a powerful prayer life. She gently challenges you to examine your own prayer journey as she shares her struggles and mistakes by encouraging the reader to use the “Steps of the Journey” note section at the end of the chapter. This is not just another prayer book of “how to” pray based on standard ways and formulas. She shares her experiences of how she grew in her prayer life based on the Word and the power of the Holy Ghost which lead to her testimony of a life transformed by the power of prayer with a heart for true worship. In sharing her journey which lead to her calling as an intercessor , she encourages you to know that you also can grow to know Jesus Christ through prayer. Her goal is to help others, through their discovery of prayer, grow in their relationship with Jesus. She writes in an easy to understand style. She stresses the need to have an intimate relationship with God which flows from the heart before you can effectively pray. “In order to be “Ready to Pray” we have to get to a place where we are able to pray and come away with God’s heart, not ours”, exclaims Gail. Gail Dudley shows you that God speaks through His Word, and the Word of God provides a solid foundation for prayer. The book is written in easy to understand style and a Work Book is available. I enjoyed the chapter “It’s Different” where she reveals how she struggled with her calling as an intercessory and lets you know you do not have to be a “cookie cutter” prayer or intercessor ,but pray with your own unique style as the Lord allows. We are called by God to intercede. Intercession is praying and standing in the gap on behalf of another. Believe it or not, everyone has been called to pray on behalf of another. However, God has called others specifically to the ministry of intercession. Intercession is not about your personal conversation with God about yourself, your needs, and your desires. Intercession means standing in the gap, covering, warring, and sometimes weeping on behalf of someone else in prayer. Sometimes it is when the Lord puts the face of a person in front of you or maybe the Lord drops someone’s name in your spirit. There’s nothing you can do but pray. Intercession is having a connection with God, talking with Him, petitioning Him, crying out to Him, through prayer on behalf of another in need. All across the world there are individuals whom God has chosen to stand in the gap for someone else or for a particular situation. Maybe God has placed your name on the heart of someone else to pray. Maybe God has placed someone’s name on your heart to pray. How can we pray for one another for such a time as this? Author and international speaker, Gail is committed to a calling of encouraging others and prayer. She is a contributing author for a variety of publications with topics ranging from Christian training workbooks to cultural awareness and discipleship along with being a blogger, and the author of five books. Additionally, Gail has written many magazine articles that are life changing, and has a powerful gift of delivering messages that are both scriptural and applicable to real life situations. Gail shares the words that are spoken into her heart by the Holy Spirit and those same words are delivered directly from her heart to the listener’s ear. She is an anointed speaker whose message will stir the soul and further advance her desire for all Christians to find healing, hope and health. In 2009 Gail was ordained as pastor with a calling to train and equip the saints for the work of the ministry. This transparent vessel of God has been anointed with a spirit of intercession to pray on behalf of the saints and blessed with the gifts to edify God’s people. Gail has completed 85 hours of ‘Formational Prayer’ from Ashland Theological Seminary and conducts inner-healing sessions for individuals ready to be delivered from their wounds. Gail serves as a speaker and author with a passion to provide guidance to God’s people as they navigate through their spiritual journey. Gail organizes regional 24 hour prayer gatherings and “Journey of Prayer Instruction” conferences where she has touched the lives of many people from various walks of life across the globe. As a strategic thinker and creative voice Gail has worked collaboratively toward greater vision with organizations and ministries while engaging, encouraging and empowering individuals to accomplish their goals. Gail established ‘@ The Table with Gail’ in January 2013, a consulting firm focused on ministry, nonprofit, and personal development. 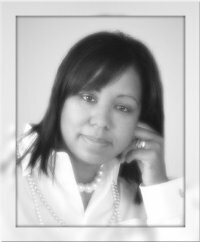 Gail is also the servant leader of Ministry in Motion Ministries a ministry she founded in 1994 and re-launched February 2012. She is an international conference and workshop speaker who has traveled to Zimbabwe, the United Kingdom, and South Africa ministering to women and girls. Gail finds joy in helping ministries and non-profit organizations to become “Ministry-Minded, Ministry-Equipped, Ministry-Motivated, and Ministry-Engaged.” Gail is on a ministry assignment with Synergy Women’s Network as well as serves as pastor preaching, teaching discipleship studies, and overseeing multiple outreach efforts at The Church at North Pointe. Gail is the wife of Reverend Dr. Kevin Dudley, senior pastor of The Church at North Pointe (Columbus, Ohio) and the loving mother of two young adult’s Alexander and Dominiq. Gail connects with people where they are and upon hearing her speak it is evident that Gail walks closely with the Lord, spends time daily in the word and seeks always to be ready to share God’s truth for transforming lives.